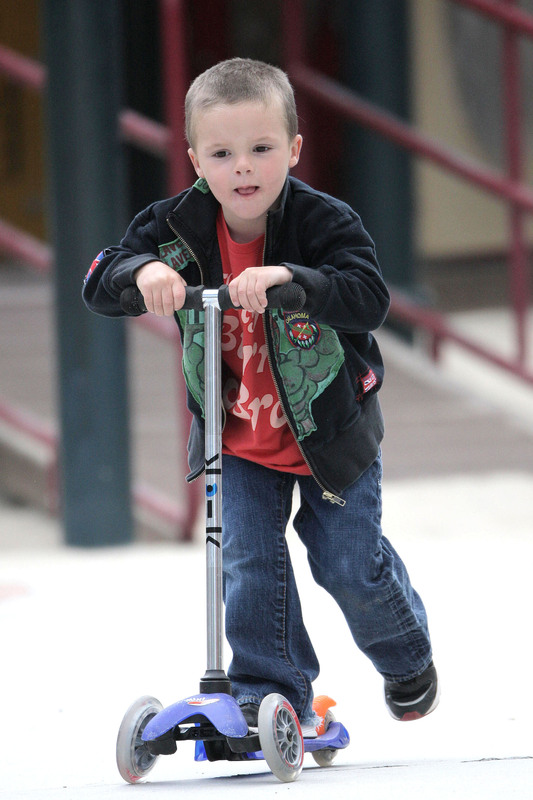 Cruz Beckham plays on his kick scooter and practices his breakdance moves at Coldwater Canyon Park in LA yesterday. The littlest Beckham, 4, recently talked his mom into voicing a character on the Nickelodeon show “Spongebob Squarepants”. He wanted her join in the fun. The popular cartoon is his favorite show. Heidi Klum Expecting Baby #4!